examples of composite portraiture are to be found in Mr. Galton's " Inquiries into Human Faculty " (Macmillan), and in M. Arthur Batut's " La Photographie Appliquee a la Production du Type " (Paris : Gauthier-Villars). Composition. A term denoting the grouping of the materials of a picture so as to form a pleasing and harmonious whole. It can be well said of the majority of photographs taken by amateurs that there is but little composition in them ; most being but a faithful portrayal of subjects as they are found naturally. But, whilst the photographer does not possess that wide power of composition which is characteristic of the artist's work, he can at least modify to some extent the scenes, etc., ready found to his hand. The amateur who desires rather to produce pictures than faithful photographs is recommended to obtain Robinson's " Pictorial Effect in Photography," and " Picture Making by Photography," in which the subject is most ably treated at great length. These two books should form part of the library of every one practising photography. 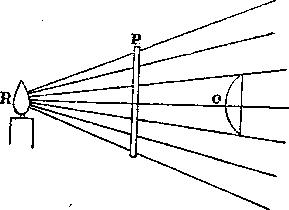 Concave, Concavo-Concave, Concavo-Convex Lens. See Lens. Concentrated Solution. A term often, but somewhat loosely, applied to a strong or saturated solution. (See Solutions and Solubilities). of rays of light which would otherwise be scattered or lost. They form a necessary part of every lantern, and take various orms.